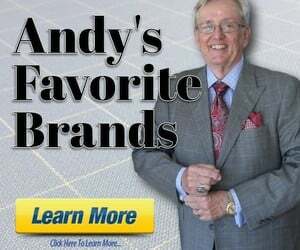 Discussion in 'Andy's Trad Forum' started by zsmith95, Jan 15, 2019. I will be getting married this July and wanted a few suggestions on a couple elements of my outfit. First of all, the wedding will be fairly informal. Having a black tie wedding in rural Florida would be a sartorial disaster waiting to happen for the majority of our guests. 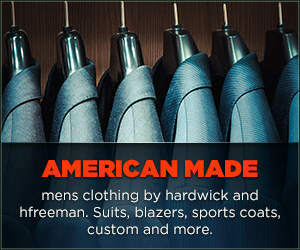 That said, I am having a suit made through the Southwick factory store for a great price. Base fabrics start at $450 (edit: $495) for half canvas and $50 upcharge for full canvas. I just received some swatches, and most (if not all) appear to be VBC 110s-120s fabrics (not that I give two hoots about "super numbers"). I'm leaning towards a dark-ish medium grey, but something short of a charcoal. The Cambridge model in 43L looks like it should fit almost perfectly from the size charts, and it will get me all the nice Ivy details. Shoes are settled, I picked up some black Allen Edmonds Exchange Place cap toes for $130 during a recent sale. The shirt is the main place I would like some suggestions. While I would love to wear an OCBD, I'm not sure I want to go that casual, but if there were precedent for it I wouldn't be entirely opposed. I also thought perhaps a button down in a more formal cloth like a pinpoint or sturdy twill. But even then some people frown of a button down collar in such a situation. I'm not a fan of point collars very much, but kind of like the idea of an unfused buttonless button down like what Mercer or Michael Spencer offer. Spread collars aren't really my thing, but a moderate unfused spread collar might not be bad. For the tie I would like a traditional wedding tie, possibly from Kent Wang or Sam Hober, but I'm open to suggestions on other choices here as well. Much depends on the time of day for the wedding. Traditional button-down collars are not worn after 6 PM (too casual). The S number of fabric is important as a indicator of durability. S100 would be more durable that S500. My daughter and son in law were married in a rural setting in Texas. The men wore medium grey suits, black boots, white shirts, and red VV bow ties. They look sharp, but it was a challenge helping several slightly inebriated groomsmen face that as the moment they would learn how to tie bow ties. Telling them “Don’t look. Just tie a bow as if you were tying your shoes” wasn’t enough (although that’s how my father taught me, but I was sober). First and most importantly, congratulations on your wedding. I'm sure you'll have a great day. If you are interested in going that route, Kamakura Shirts offers a reasonably priced one - it also has a MTM program. I haven't tried its MTM service, but have had great experience with its OTR shirts (and the store's service). I'm not opposed to the tab collar, but I fear I would get weird looks for it in this area. It would probably be perceived as more dandy-ish than I would like. But, on the topic of Kamakura, do you happen to know how heavily lined their non-button down collars are? It's a shame as I think a tab would look nice, but you know the ethos of your region. Re Kamakura, I do not as I only its OCBDs. That said, the in-store service was far superior than most stores, so maybe if you called, they'd be helpful. I'm not a fan of point collars very much, but kind of like the idea of an unfused buttonless button down like what Mercer or Michael Spencer offer. What is a buttonless button down? Doesn’t seem possible to be both. Interesting. Wasn’t aware such an animal existed. It’s a zen Koan, like the sound of one hand clapping.